The sun is the largest entity in outer space. 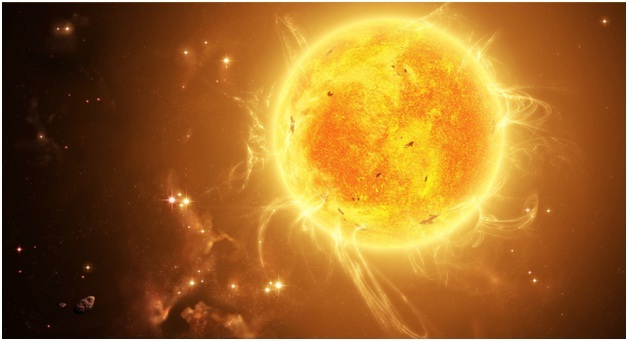 It may look small when it's shining up above, but it contains about 99% of the solar system's total mass. Scientists say that the temperature of the sun's interior is 27,000,000 degrees F and its surface is 11,000 degrees F. Just imagine all the marshmallows you can roast with that type of heat.